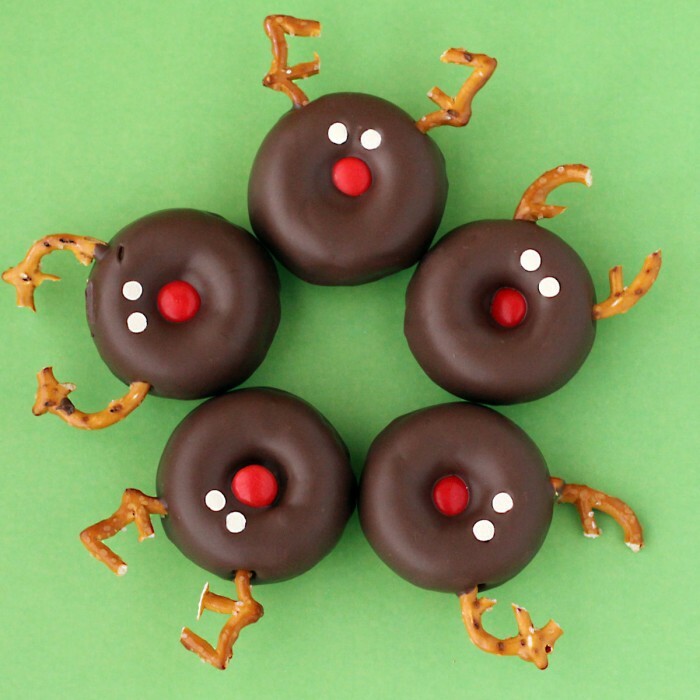 It’s day 2 our our holiday favorites and today is all about pretzel reindeer! 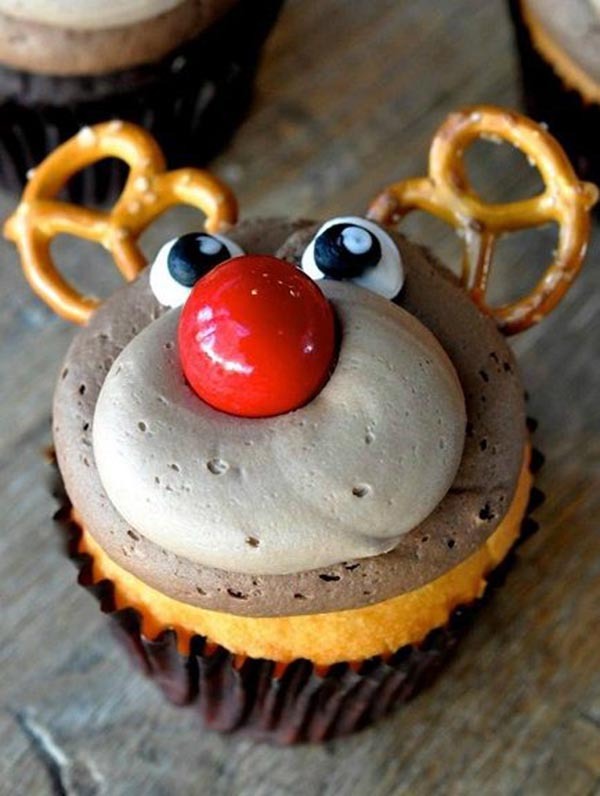 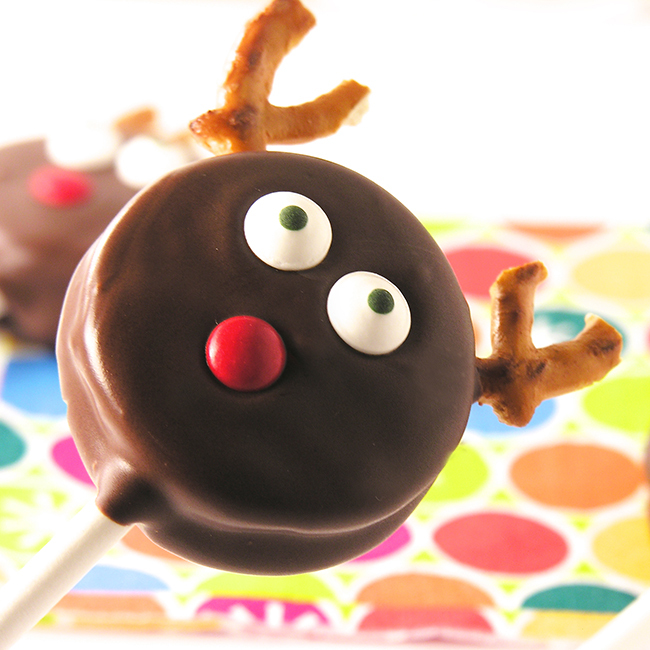 We have been seeing these delicious reindeer treats popping up everywhere this year and we just love them! 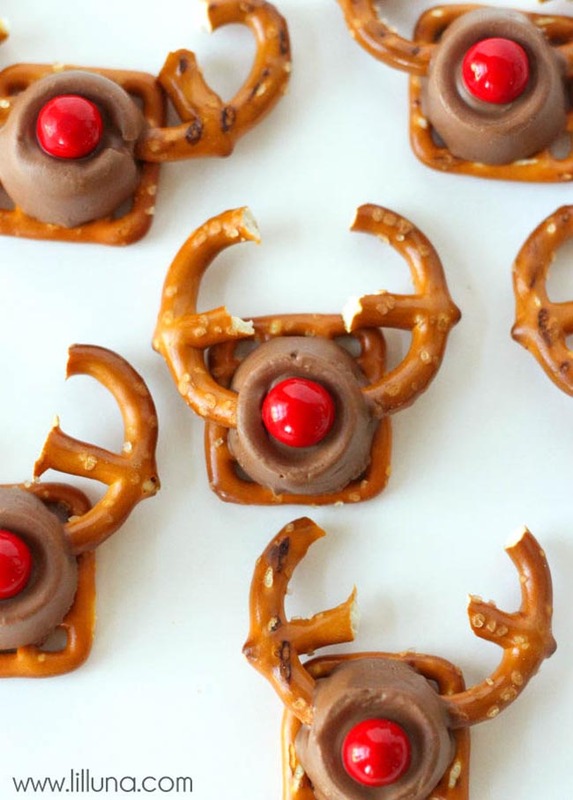 There are so many treats and desserts that are pretzel reindeer too. 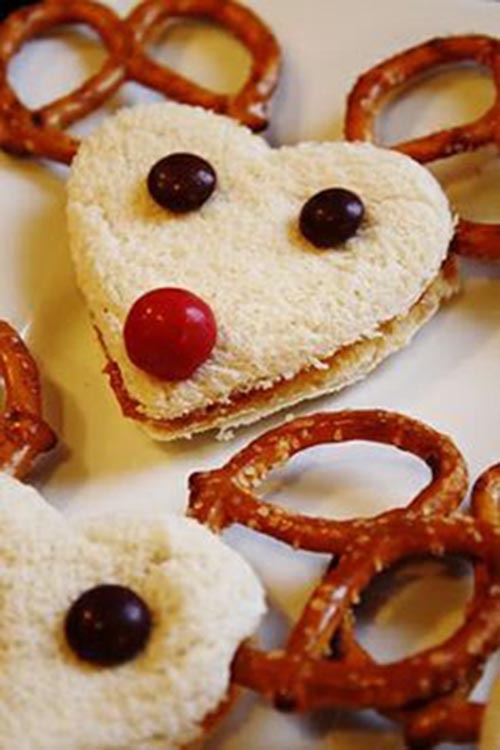 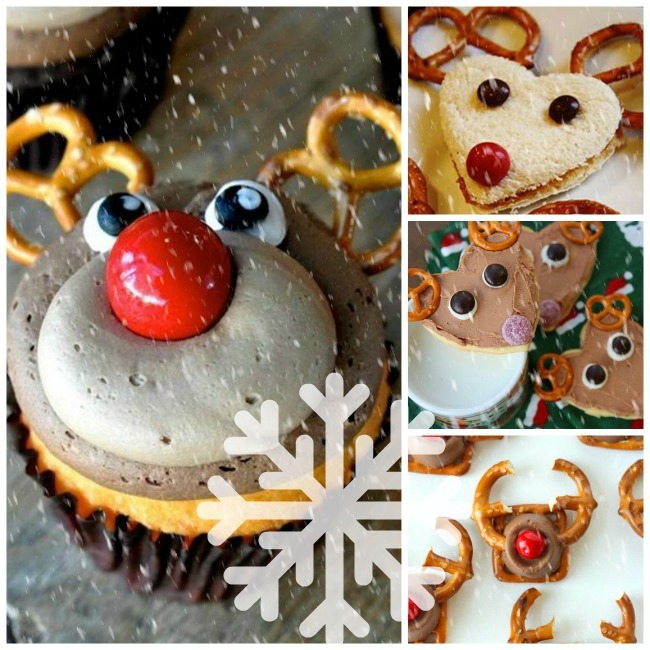 Cookies, cupcakes, sandwiches appetizers…all you need is some pretzels, red noses and some creativity and presto, Christmas reindeer treats in seconds! 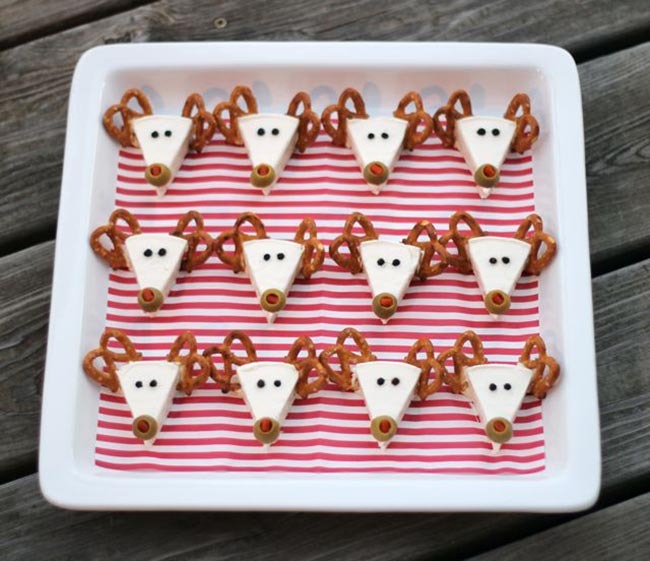 Pretzel reindeer treats are so adorable and prefect for a yummy little snack or on abuffet at your Christmas party this year. 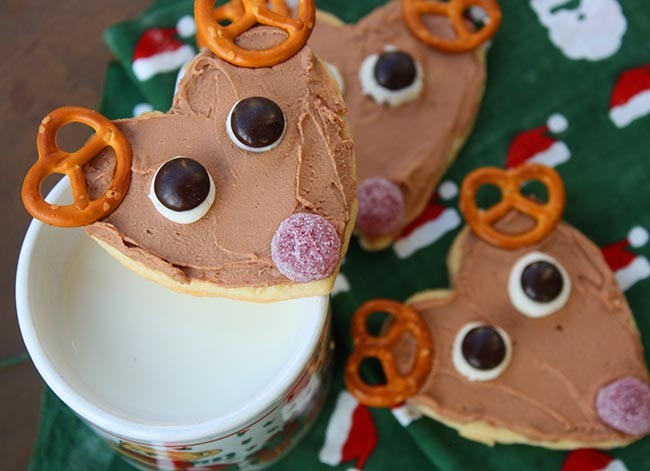 Just wait until you see the wedge cheer reindeer idea…love it! 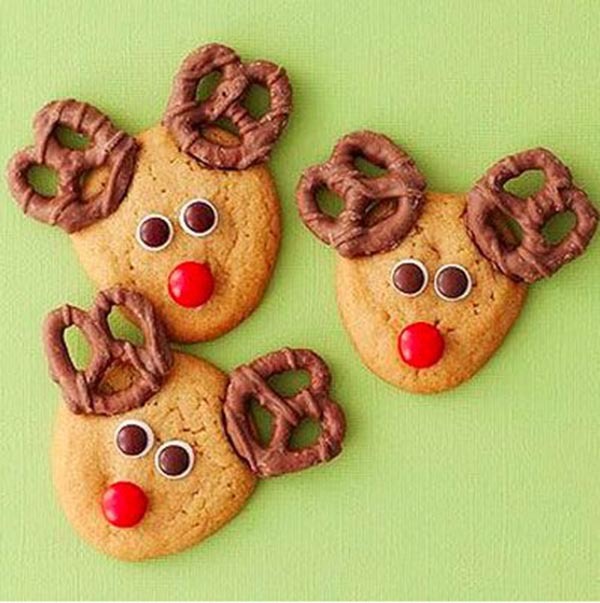 All of these ideas are DIY too. 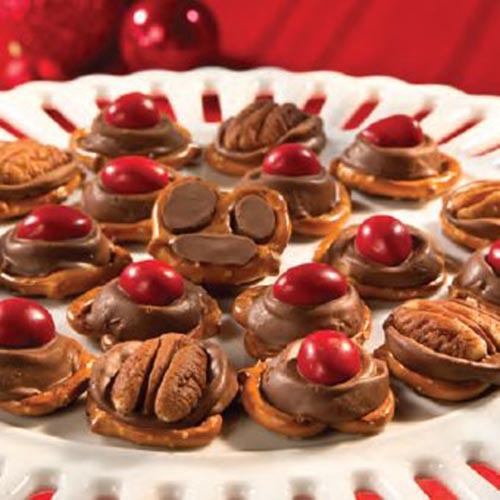 Just click the link below your favorite pic and it will take you right to the recipe. 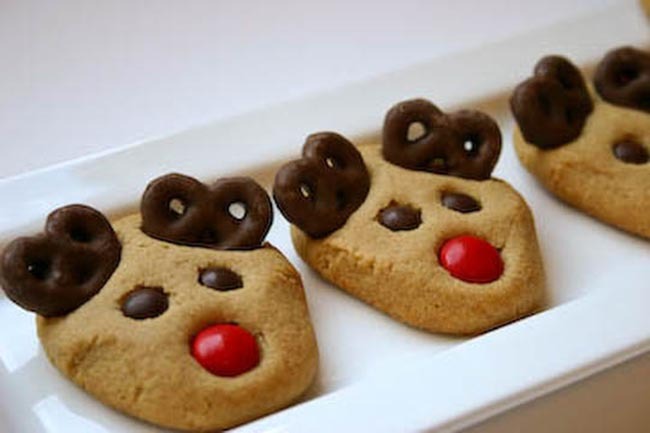 Let’s get to these tiny little pretzel reindeer treats!